Went w/ a school field trip to watch this movie and have been looking forward to it for some time. I wasn't disappointed. This is, for all intents and purposes, a live action version of the classic 1950's Disney animated film with less focus on the mice although they're still present and semi-sentient. The visuals of this movie were jaw-drop stunning. The evil step-mother and step-sisters you hated the moment you saw them and the sisters' screechy voices just added to it. Cate Blanchett turned her performance of Galadriel on its head by being a heartless widow driven to advance by any means. Overall it has the same youthful innocence that the live action Peter Pan did. About the only thing I wasn't sure about was the casting of Helena Bonham Carter as the Fairy Godmother. IMO it just didn't fit w/ the rest of the caricatures. Definite rental for the kids and very likely a purchase. 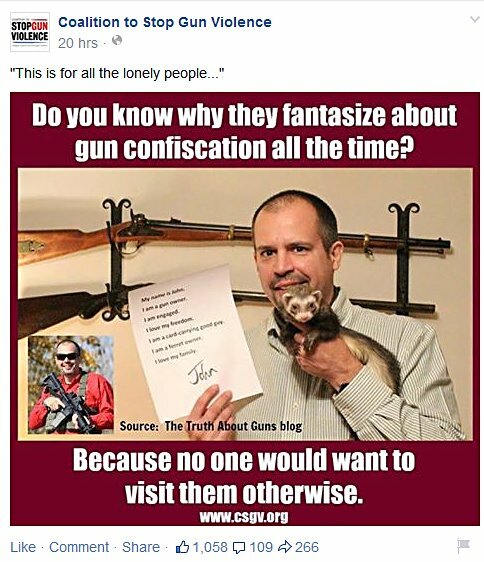 Article touting poll by anti-gun group on how much people oppose CCW 'without a permit' uses a picture from a pro-CCW rally numbering about 5,000 attendees on the same day that same group was in Springfield. Why they would use that picture I still can't figure out. I mean I know that they have manipulated photos of Bloomie's Notown group's rallies numbering about 200 folks, mostly paid shills since there is no 'membership'. Baffling. And then think about the poll itself. CCW W/O a permit. They're reduced to fighting CCW W/O A PERMIT. That's how much they've lost. Speaking of rallies and the slow collapse of gun control, in an email received from the Brady Bunch, they tout their last 'success'... The first and only nowhere near "Million Mom March" rally in Washington DC. 15 yrs ago. A year and a half after their "single largest national demonstration in support of sensible laws to save kids in our nation’s history!" the organization had collapsed, was looking at an investigation for tax fraud, and merged w/ the Brady Campaign. I'll be there w/ bells on. All the way in the back. Make sure to ask for me. Unsurprisingly, their own misfits crawl out from under their bridges to continue the verbal diarrhea. Not to far away from openly calling for firearm owners to wear some sort of symbol on their clothing so everyone can recognize a sub-human. Thousands of law-abiding firearm owners, countless w/ CCW licenses, descend on the capitol of Illinois to lobby their legislators for better firearm laws. Not a single violent or disruptive incident recorded. The staff at PCCC and many Capitol police say IGOLD attendees are among the most polite and clean. Nary a single mention on the news of this, one of the largest political events there during the year. and the crime ticker on the side is full of more. No CCW's or even FOID card possessors in sight. Yet people like Ladd Everitt of the CSGV, who vocally opposes much of the BOR, call IGOLD attendees 'traitors' and 'insurrectionists' for daring, DARING to demand legislators listen to the will of the people instead of moguls like Bloomber. Which side does he support? After much wrangling to make sure I was able to go, FourthPower Bravo asked if she could attend IGOLD w/ me this year since she's on spring break. When we arrived, we discovered that the PCCC internet was having issues so it was hit or miss to lock on. Mine was a miss hence the end of the day post instead of live updating. Out of 100k CCW licenses, .001% revoked after a year. Suppressors, legal in 39 states are next on the agenda. Supporting like 8 bills. CCW beginning to preserve 2A. ISRA Exec Dir. Richard Pearson gave the most heartfelt speech of the morning. Green tip first of many. Will try another. Have to stay organized. Battle to the death between them and us. I know what they want to do, how they think, how unscrupulous. These people are treacherous. 138 gun bills. Unravel 2A 1 thread at a time. As long as we’re around that will never happen. Recognition of ISRA lobbyists. 5 including pearson. Thanks to Otis Mcdonald and his family. Otis left this world a much better place. At this point Mr. Pearson teared up to the point he couldn't continue. Otis McDonald and him were friends and we all miss him. His family remarked on how special he was. None of the blood in the streets predictions have happened. They were wrong. Now they want to ban ‘you’. “Violence restraining order’. BOP on you to prove you’re not a danger. They don’t know what to do. Trying to stay relevant. Nothing but paid for Astroturf of Bloomberg. First time in 12 yrs welcomed in Gov office. More nonsense from Chicago range requirements. 4thPwr B in the throws of youth activism, meeting legislators and lobbying. In front of the Capitol Building. and wants to go back next year. She talked to politicians, lobbyists, and activists from across the state. Several other people took photos they will be sending me. I'll add them later.